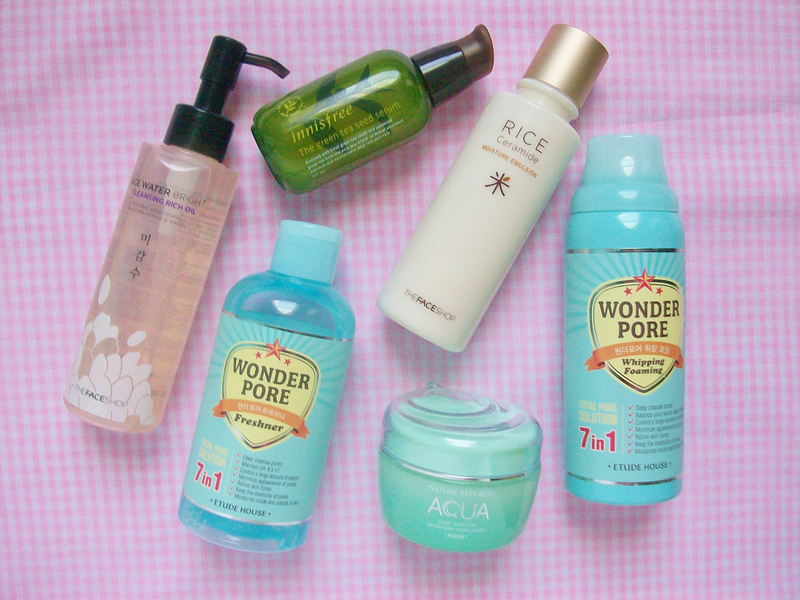 MooeyAndFriends: Korean Skincare Haul ♥ Etude House, Innisfree, etc. 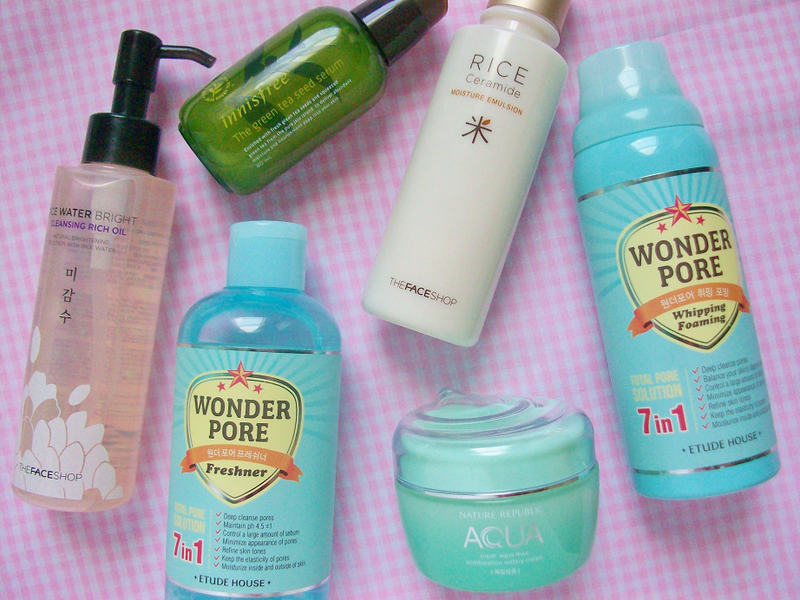 Korean Skincare Haul ♥ Etude House, Innisfree, etc. 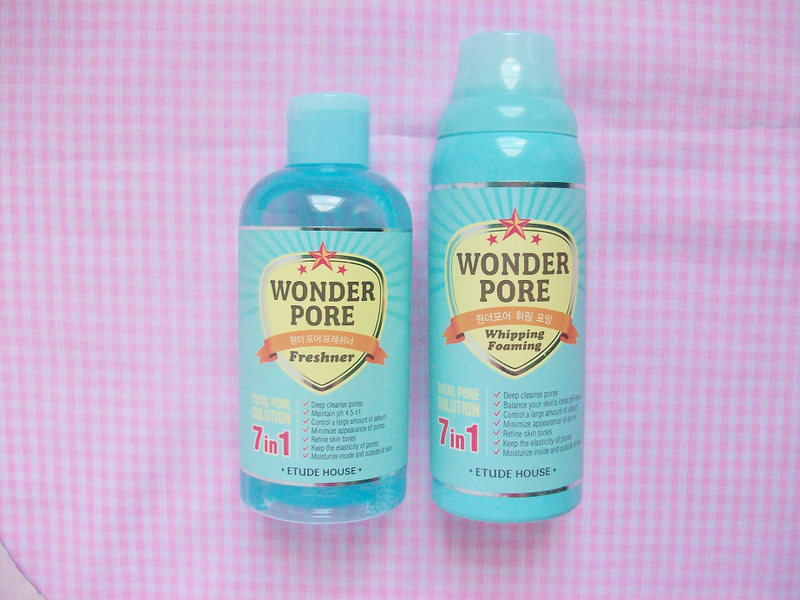 I've been wanting to try the Wonder Pore line by Etude House for a long time now, also the packaging is really cute! I've heard that the freshner is amazing so I can't wait to try this out! 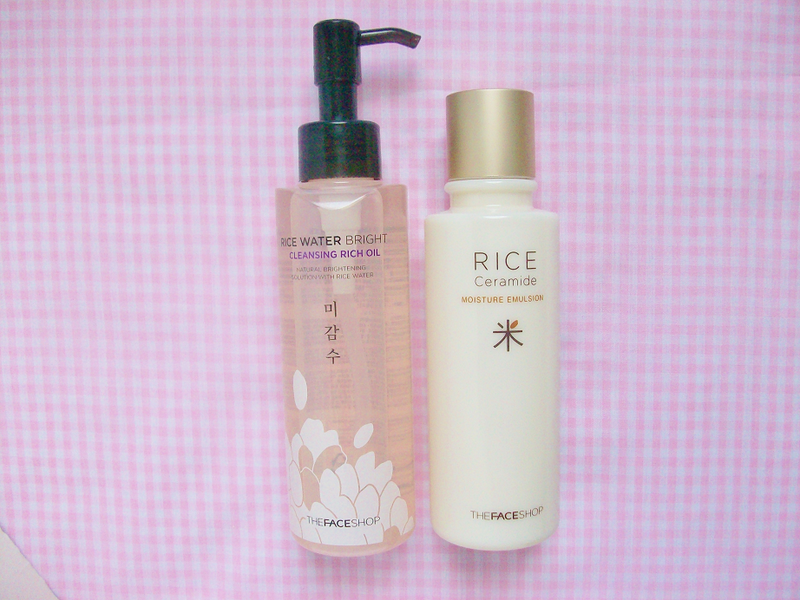 Part of the 10 step Korean routine is cleansing twice, with both an oil and foam cleanser. I looked at so many foaming cleanser but was always intrigued with this one so I went ahead and got it. 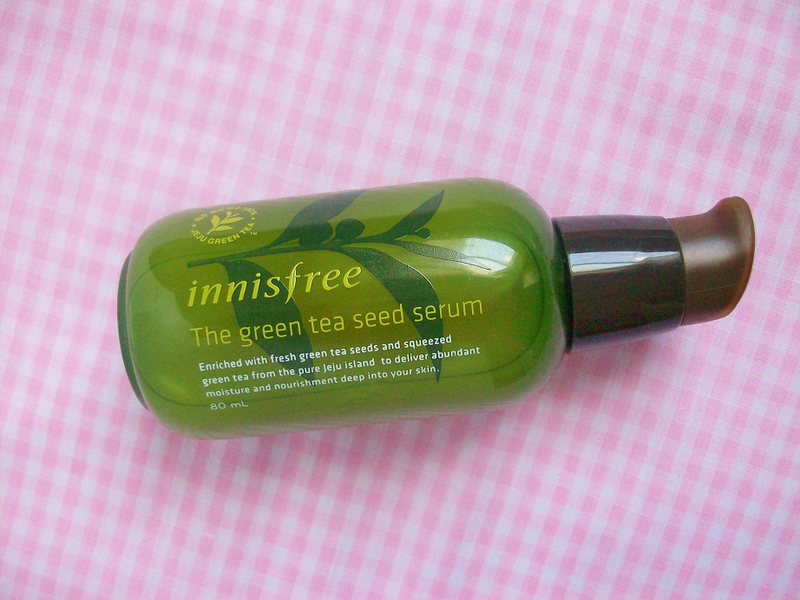 I absolutely love anything with green tea in it so when I see beauty products with green tea in them I have to get them! I have also seen many positive review on this serum so I have high hopes for this. This is the second cleanser I will be using. This is an oil cleanser that is suppose to help you fully remove your makeup. It's basically an oil makeup remover but with cleansing properties. I have never used an emulsion before but from what I've read it's a mixture between a toner and serum. 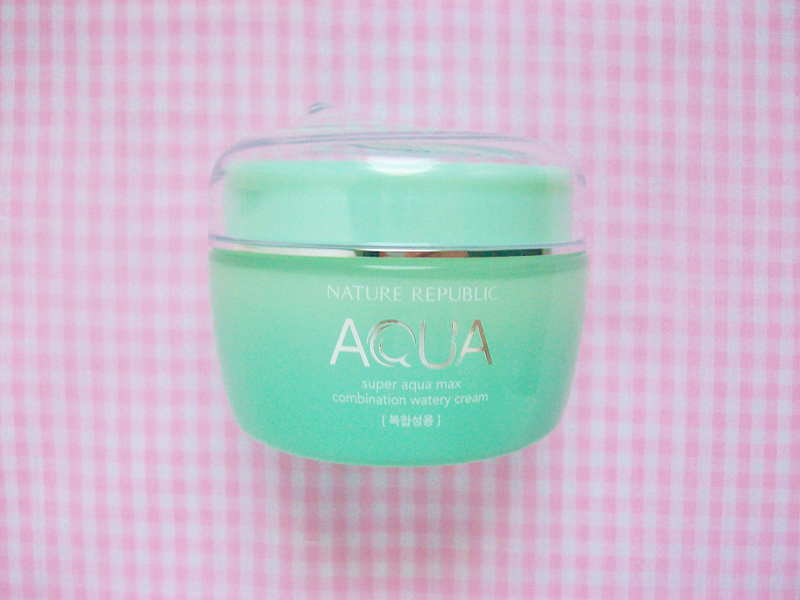 This product is suppose to lighten and add moisture to the skin. In Korean they use creams instead of moisturizers so I looked up the best creams they have in Korea and I found this one! Apparently this cream won a few awards. It even comes with a handy spoon so you don't have to get your fingers inside the container, which is great and very hygienic. I will be using these products for a month and do a review post on each one of them as well as a updated skincare routine letting you guys know what the results of my 10 step Korean regime. Which one of these products do you want me to review first?